Don’t worry if you’ve no idea what some or all of these are. If you use Office 365, you don’t have to! SharePoint On-Premises is different, and that is where enterprise and Infrastructure Architects really earn their stripes. The items in the list above relate to things like SQL databases, virtual drives, services and disks. Sizing these is a big part of On-Premise farm design, interweaved with performance and latency issues, which in turn overlap with user, security and organizational requirements. It felt more like being a wizard than an architect at times. 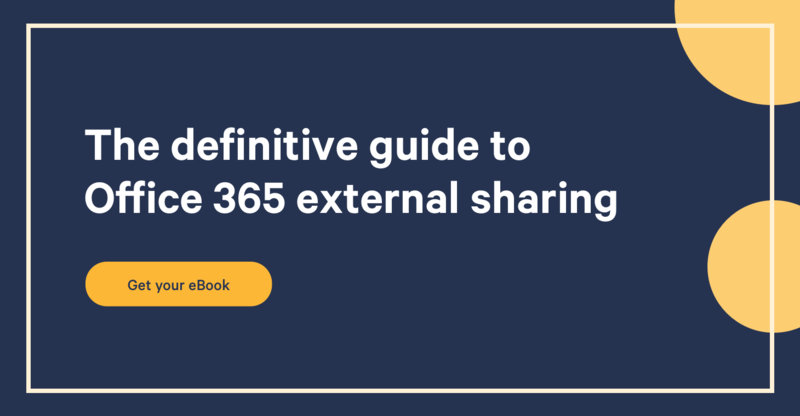 Before we get into each, it's important to realize we are not simply dealing with SharePoint now, OneDrive and Exchange should also figure in your storage considerations. The primary focus of the administrator is now to plan and manage Office 365. Together, that is, well, it’s a lot is what it is! Over 2 Petabytes is more than most users will ever need but the important point here is to look at where that space is allocated. If your users will require more than 1TB for SharePoint Team sites, you'll have to purchase more storage, but you'll also have to understand storage limits in Office 365. Office 365 allows for unlimited storage for each tenant. It also allows for 1TB storage in OneDrive for Business and in Team Sites. Amazingly, it is now on the Office 365 roadmap to roll out unlimited OneDrive storage. But bear in mind just because you can allow this does not mean you should. Users could be dumping huge amounts of unstructured and unmanaged content into Office 365. If your managers and administrators don’t know what’s there or where things are, what use is it to your organization? Also, vast amounts of data leads to less relevancy in search results. The removal of storage limits has the potential to be a big headache if you don't manage Office 365 correctly. Enforcing policies, such as what to put where, with your users based on clear business goals should be a must for all organizations. Tools like our own are very useful to help direct your focus in this area. Also Team sites can reach the 1TB limit faster than you think. You need to plan for multiple site collections if you think they could hit this limit. But keep in mind splitting content and users across multiple site collections can make navigation, user management, search and metadata management more complex. Do not split unless you think you'll hit the 1TB limit. Additional storage costs $.20 per GB per month. If you required 1024GB over 10 years, that will add up to .2 * 12 * 1024 * 10 = $24,576. In other words, $2,457 per year for 1TB. As mentioned, you are paying a monthly fee per user which gives you a large amount of storage, but be careful users are not abusing this. To access the page where you add more storage, navigate to Office 365 admin center, Billing | Subscriptions. Find your plan and click Optional add-ons. In the Add licenses wizard, under Optional add-ons, you can see the price of extra file storage for your plan. See screenshot below. Pooled storage is designed to simplify storage management in Office 365. Where before if you allocated a quota of say 1TB per team site that counted against your used storage. Now the amount of storage actually used is measured not just the pre-allotted space. With pooling, the concept of a usage limit is used to constrain how big a site gets, but if the site is only using 10% of its usage limit, the other 90% is shown in the pool as available to be allocated elsewhere. This doesn’t apply to OneDrive currently, with its current 1TB limit (soon to be removed anyway). Right now, limits are manually set, but in the future with be switched to auto. More details are available from Microsoft here. Things are changing so fast in the area of Office 365. If it were not for the roadmap we would all get very lost! Here at Sharegate we see nothing but great potential in the future of the product, especially as managing Office 365 and it's farm size is now so simple. The platform is no longer constrained by 2 or 3 year software release plans and administrators can focus now on giving users technology that enables them rather than looking at the growth rates of obscure SQL Server databases. With users being given less hard constraints on how much they can store now the emphasis has to be on where and why. And everyone benefits!